The Janata Dal Secular-Congress combine has asked the Karnataka Governor to invite HD Kumaraswamy to form the next government. Recuperating from a heart surgery, HD Kumaraswamy figured that he did not have the luxury of time or rest. His party Janata Dal Secular had been out of power for over a decade and it did appear to being pushed to the third position. As Mr Kumaraswamy would often tell reporters, he did, despite his health problems, travel a lot more than leaders from competing parties. Mr Kumaraswamy, 58, called the elections "a battle for survival" and pushed his body to the limit. HD Kumaraswamy didn't come anywhere close to the 100-seat mark that he had claimed for his party when he trashed exit polls that gave him 30-35 seats. "You will get surprise results on the counting day," Mr Kumaraswamy said last week. It is a line that the JDS has steadfastly held on to through the campaign, claiming that Mr Kumaraswamy wouldn't be the "kingmaker" that opinion polls had predicted but the "king". But his party's tally did not matter as top leaders of the Congress and the JDS made a dash to Governor Vajubhai R Vala before the election results for all the seats had been declared. The Congress, determined to keep the BJP out of power in Karnataka, had agreed to support a government-led by JDS, and its presumptive chief minister HD Kumaraswamy. The BJP's chief ministerial candidate BS Yeddyurappa too isn't giving up without a fight and also met the Governor to lay claim to the invitation to form the government though the BJP doesn't have the numbers. Politics might not have been Mr Kumaraswamy first career choice, but he isn't seen as someone to give his rivals a follow on. It was sometime around his 36th birthday that film producer HD Kumaraswamy decided to try his hand at politics, quite by chance. His father HD Deve Gowda was Karnataka Chief Minister and a conversation on politics veered round to him contesting the elections. Someone suggested he wasn't cut out for it. Mr Kumaraswamy decided to take up the challenge. He gave it his best shot, and won the 1996 Lok Sabha elections from Kanakapura constituency in rural Bengaluru. But for a Gowda family, this wasn't the only surprise that year. 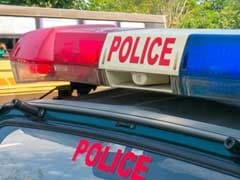 Like son Kumaraswamy, the father also got himself a new job in a surprise turn of events. And HD Deve Gowda, the son of the soil as he liked to call himself, became India's Prime Minister. It was the family's high point in politics. But the Gowda family's lucky streak seemed to run out soon enough. HD Deve Gowda had to step down in less than a year. Ditto with his successor IK Gujral. In the next election, Mr Kumaraswamy even lost his security deposit. Things appeared to be on the slide for the younger Gowda. He lost the 1999 assembly election but made the cut in 2004. The BJP emerged as the largest party but was far short of majority with some 79 seats in the 224-seat assembly. Deve Gowda's party Janata Dal Secular backed a Congress-led coalition. It was Karnataka's first coalition government and didn't survive for long. The JDS had suspicions about the Congress poaching and instigating its leaders. 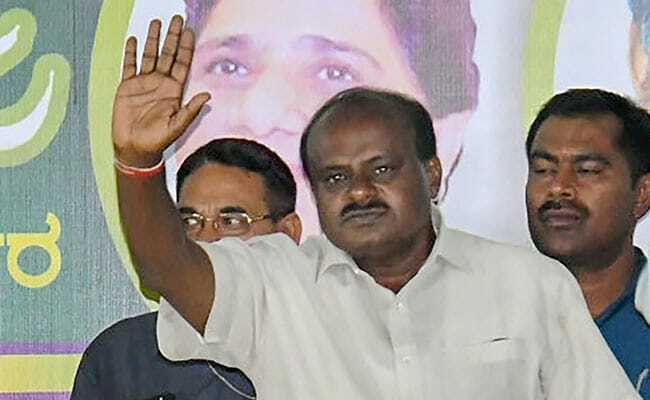 Mr Kumaraswamy pulled down the coalition and became the Chief Minister, with support from the BJP as part of a power-sharing agreement. This coalition too collapsed in less than two years and the state was placed under central rule.